Understandably, ambitious GMAT students want to challenge themselves. That’s great. GMAT students want to gauge their relative ease or difficulty in solving a question with what might be called the “objective difficulty” of a question: in other words, if I can solve this problem easily, approximately where does this put me in terms of my GMAT preparation? Toward this end, a student will often ask of relatively difficult question: is this a 700+ level question? While students’ ambitions are commendable, and while curiosity about this point is eminently understandable, there is something inherently flawed in the logic of that question. This requires a slightly deeper examination. What does “700+ level” mean on the GMAT? Well, if we look at GMAT Percentiles, the percentile for 700 is 89%, which roughly means that 10-11% of the population scores at that level or above, and 89% of the population scores below that level. 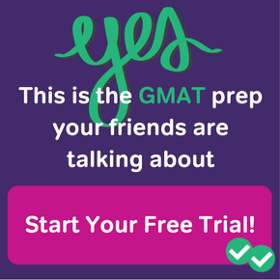 If we were to sample a large number of GMAT test takers, ask them all a particular question, and fewer than 10% could get the question correct, then with some justification some might refer to this as a 700+ level question. Notice that a very large process of data collection would be needed to verify that any question is of this sort. Even if we were to gather all that data, the notion is still suspect. Suppose we were to gather a large batch of questions that 90% of the test-taking population regularly get wrong. The fact that one can get a single question of this sort correct doesn’t mean bupkis. If you can get these very difficult questions correct 30-50% of the time, that’s not necessarily telling. If you can simply nail them almost every single time, that’s impressive, and certainly would be more indicative of an elite level of performance. Even then, it’s a mistake to think of the test too reductionistically, as if mastery of each individual possible question necessarily leads to mastery of the test. This overlooks the holistic quality of excellence that needs to pervade your work to produce an excellent performance on the GMAT. Similarly, it overlooks the all-too-common problem of a precipitous drop from performance on practice exams to the performance on test day. The perspective and mindset and focus and lack of stress that you bring to the test are far more important than the skills to perform on any particular question. Finally, of course, remember that the Quant and Verbal sections are subject to Computer Adaptive Testing. The profound implications of this are little understood and little appreciated. 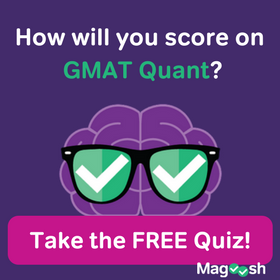 As you sit for the real GMAT, and get question correct or incorrect, the test will use a complex psychometric procedure to increase or decrease the difficulty of the subsequent questions you receive, and your final grade is determined by some similarly sophisticated and abstruse algorithm. The paradox is: a person who gets a 550 and a person who gets a 750 may get approximately the same number of questions correct and incorrect, but the difficulty of the correct and incorrect questions will differ significantly. The nature of this algorithm is strictly the propriety knowledge of GMAC, so even if I were to have an expertise in psychometrics, I would not access to the details of how that algorithm works. Thus, in a profound sense, we have essentially no way of exactly knowing how the relative difficulty of any particular question influences one’s GMAT score. In this deepest sense, given all publically available knowledge, the idea of a “700+ question” is entirely meaningless and without basis in objective reality. I say that this idea is meaningless, but the idea of “700+ level questions” is all over the place in the GMAT preparation marketplace, in the GMAT forums, etc. Why does something that is essentially meaningless get so much air time? 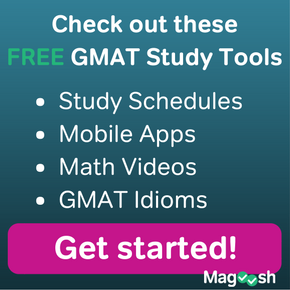 In GMAT preparation, though, it’s an open market. Students are customers who choose one company over another, and in some ways, the marketing principle that “The customer is always right” can come into conflict with the pedagogical principle that “the teacher best understands the arc of the learning process.” If a student is convinced that “700+ questions” is a meaningful idea, and he wants to find a company that offers him such questions, then the answer I am giving in this blog article, while intellectually and pedagogically sound, might not be satisfying to him, and he may go elsewhere to find another company that offers him what he wants. Thus, in the GMAT preparation marketplace, individual companies have a high inducement to offer things for their marketing worth rather than for their pedagogical worth — hence, all the discussion of 700+ level questions. Caveat emptor! Caveat discipulus! In the modern electronic marketspace, it can be hard for the student-customers to discern when a message they get is authentically beneficial, although perhaps not exactly what they were hoping to hear, vs. when a message exactly matches what they want to hear but is not necessarily in their best pedagogical interests. Of course, the very best indicator is ultimately not what the talking heads such as myself say, but the real results that students who use the product garner, and these are to be found in testimonials. By all means, in your GMAT preparation, embrace a challenge. By all means, push yourself in mixed practice. Push yourself to develop new levels of understanding on each concept. Learn from your mistake, such that you never make the same mistake twice. Wrestle with the hardest questions you can find. Pursue excellence in every way. 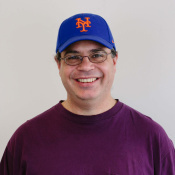 I simply dispute that you can reduce the pursuit of excellence to such a rigorously numerical system, such as knowing the “equivalent point value” of each question. The desire to quantify absolutely everything is one of the sicknesses of the modern world. Excellence ultimately transcends numbers. Excellence comes from the heart. I realize that if you, as a student, have a burning question, receiving the response that your question is profoundly meaningless is not necessarily the most satisfying experience. I hope this blog gave you an appreciation for the complexity of this topic, as well as the nuances of marketing appeal vs. pedagogical integrity. If you have anything thoughts, questions, objections, we would love to hear them in the comments section below. 6 Responses to Is this a 700+ level GMAT question? You are quite welcome, my friend! Best of luck to you! This is a great article! I think with influx of information surrounding GMAT prep and practice,it gets really overwhelming which basically results in stress.Although I am only a newbie to the gmat club and forum (4months) as compared to people who’ve been there for so long,with various strategies available,I think the fundamental thing common from all sources is to stay calm and aware of one’s own limitations,that is not to say succumb to a status quo or whatever prep you have.But just that maybe burdening yourself with a million strategies,over analyzing each question to the extent of determining it’s difficulty while solving a practice test,would only distract your brain from the real task at hand. Yes, the modern world is replete with opportunities to distract ourselves. I’m glad you found this helpful. What an inspiring article! I shed a tear when you said, “excellence comes from the heart.” Thank you! You are quite welcome, my friend. 🙂 It means a great deal to me that you found it inspiring. In all your GMAT studies and beyond, I wish you tremendous good fortune and the powerful heart of a lion!